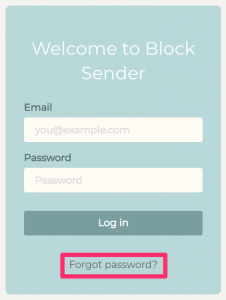 Soon after, you should receive a password reset email from Block Sender. Open it and click the link provided. Note: If you don’t see the email right away, check your Spam folder. 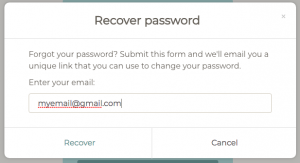 In the window that comes up, enter your new password in both text fields, and click Submit. Note: The password entered in both fields must match, you or may not proceed with the password reset. 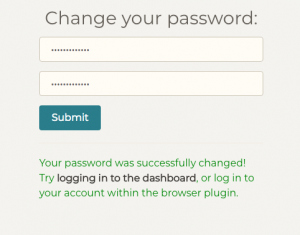 Log in to either the dashboard or the browser extension with your new password. If you continue to have any problems, feel free to contact support for more help.